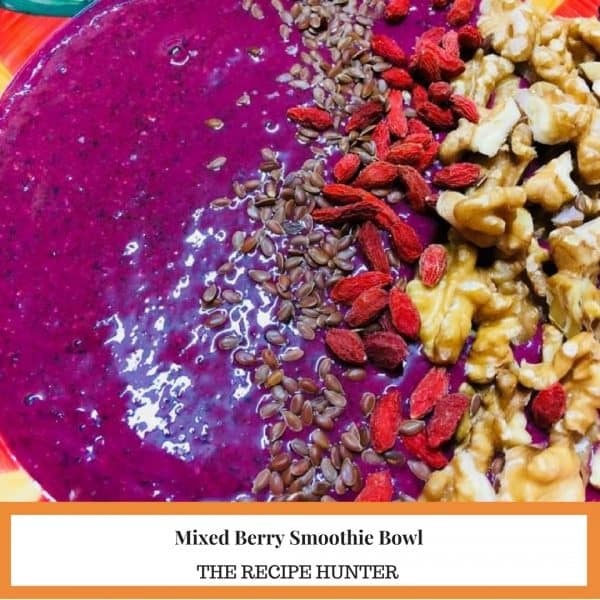 How to make the best Smoothie Bowl! 1½ cup frozen mixed berries. 2 tbsp. or more if you want honey. Chopped nuts, goji berries and linseed to garnish. Place all the ingredients in the bowl of your food processor. Blitz until you have a nice smooth consistency. Pour into a deep dish. Garnish with your toppings and serve immediately. This sounds yummy. I have not tried making smoothie with chia seeds. Its good Thelma. I have not personally made this one, but have made others with chia seeds.